Copeman Hart, established in 1960, enjoys an international reputation for its custom built church organs with a typical English sound and appearance. In 2011 the company was sold to the Global Organ Group. Founder Mr Ernest Hart intended to retire in the early years of the 21st century, but before then put enormous effort into finding a suitable successor for the company into which he had invested a lifetime of heart and soul. He found that successor in the Global Organ Group and in Keith Harrington, who was then managing director of Makin Organs. Both parties were entrusted with the task of building constructively upon Mr Ernest Hart’s legacy. Copeman Hart is compared to highly desirable and exclusive cars by organ enthusiasts: the organs are custom built down to the very last note. Whether it concerns the stoplist, the design of the drawknobs, the position of the thumb pistons, the style and color of the console: each detail is decided upon in consultation with the customer. The organ is constructed using only the best materials. Each Copeman Hart is built in the old English tradition, which can be seen in items such as the high quality moveable rocker tabs and the moveable drawknobs originating from the pipe organ world. 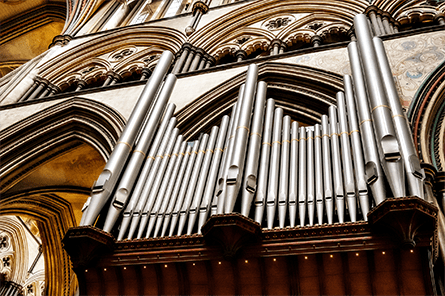 Almost anything is possible within the English tradition, and it is for this reason that most organ enthusiasts have a relationship of many years’ standing with this brand. Johannus is one of the greatest designers and builders of digital home and church organs in the world. The company was established by Hans Versteegt in 1968. His mission was to make church organs affordable and accessible for a broad public. Up until today, his mission has been the starting point of all organs designed and built by Johannus. In addition, the company locates itself within the centuries old European church organ tradition, which facilitates a good understanding of the unparalleled dynamics of the pipe organ. Nowhere else than in Europe is it so easy to walk into a church and be overwhelmed by the sounds of the authentic pipe organ. This is how it has been for centuries. Johannus is the undisputed market leader in Europe, is number three in the United States, and holds a leading position in emerging markets such as Asia and Africa. The Johannus collection encompasses a very broad range of instruments varying from small, affordable organs for private homes to enormous, custom made organs for churches, cathedrals and concert halls, sold under the name Monarke. In addition, Johannus designs and builds hybrid organ concepts, optimally combining the qualities of an existing pipe organ with a digital organ. Johannus is world-famous for the renowned sound quality of its instruments. This arises partly from its own research and ongoing technological innovation, and partly from the philosophy that the digital organ should reflect the sound of a pipe organ as closely as possible. At Johannus, a Trumpet always sounds like a Trumpet, and a Principal is always a Principal. 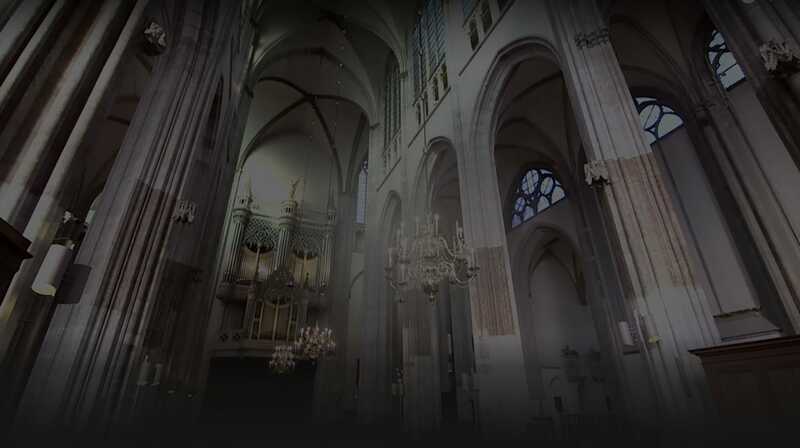 Johannus, like no other, manages to convey the sound of famous pipe organs in its digital organs. This feature makes Johannus a unique proposition across the world. While Johannus is grounded in a rich European history, the company has always been proud to be a leader in innovation. Time and time again the organ builder has proven itself capable of making optimal use of the technological possibilities to best favor the quality of its organs. Innovation is in Johannus’ DNA. It was, for instance, the first company to use side speakers in home organs and e-paper technology to display stop names. Flexibility in execution is a core value that gives shape to the entire breadth of Johannus’ organ range. Even with the standard models, customers can choose their favorite color or type of wood, the kind of pedal, and add or replace a stop. If the customer is looking for something really special, Johannus offers a custom design solution in its Monarke range for homes, churches and concert halls. The pedigree of Makin organs stems back to the first experiments with synthetic organ tones carried out by Compton Organs Ltd. This company was a famous builder of electronic and pipe organs and was blessed with a visionary founder, John Compton. As far back as the 1920s he was experimenting with the production of synthetic organ sounds. Eventually, Makin was established in 1970 with the takeover of part of Compton Organs Ltd. Within this company, Compton’s experiments could be continued and further innovations could take shape. In the 1980s, this innovative spirit produced the Bradford Digital System, which was replaced in the 1990s by digital sampling. The organization was founded by Mr Pilling, a successful businessman with a heartfelt passion for organs. Initially, he did successful business with paper factories; the organ was mostly a hobby. However, he was not humble in this: he wanted to produce the best English organ. 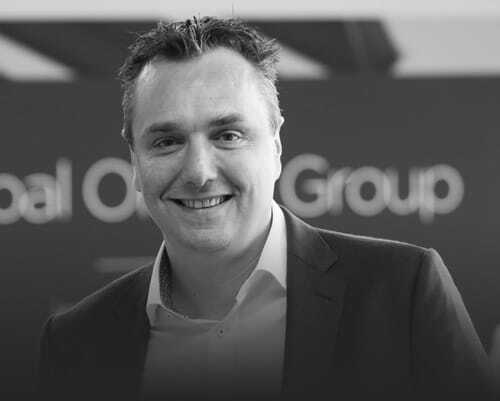 When the Global Organ Group took over the company in 1998, the ambition remained. Makin is currently one of the strongest brands in the United Kingdom and enjoys an excellent reputation in the international organ world. Makin is a renowned organ brand on an English footing. No matter which Makin organ is being played, it is always clear that English sound and an English design are involved. 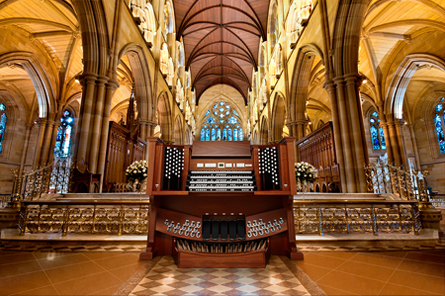 The samples are derived from a wide range of English pipe organs, including big names such as Willis and Harrison. The translation of the English style is implemented in each individual Makin down to the last detail, from something as trifling as a brass music holder to more eye-catching elements such as moveable draw knobs in rows of two. To ensure optimum reproduction of the absolutely English sound, the larger Makin organs are fitted with the Sub- and Super-couplers. For the convenience of organ enthusiasts, Makin offers a broad range of standard models. Certain parts of these organs can be adapted according to the customer’s wishes. For more specific wishes, organ enthusiasts can also speak to Makin about custom design solutions. Since 1958, Rodgers has been committed to heightening the spiritual experience of audiences with the transformational power of music. 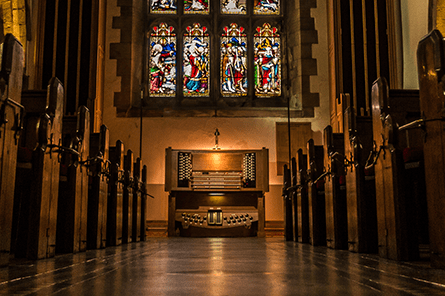 Rodgers organs not only capture the essence of American pipe organ sound, they have led the way in making organs more accessible to places of worship, universities, music schools and enthusiasts around the world. Two visionary engineers and organ enthusiasts, Rodgers Jenkins and Fred Tinker, originally founded Rodgers Church Organs in 1958. 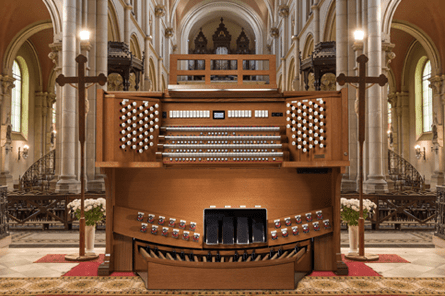 The company’s focus was on helping make the transformational power of the American organ more accessible to churches, colleges, performance centers and players by embracing advancements in technology. From this dedication to serve and a passion for elevating the human spirit through music, Rodgers was born. Originally controlled by officers of Tektronix and the founding engineers, in September 1977, Rodgers became part of CBS Musical Instruments along with Steinway & Sons pianos, Fender guitars, Rhodes electric pianos and a number of other instrument brand names. In 1985 CBS divested itself of Rodgers, along with Steinway and Gemeinhardt, all of which were purchased by Steinway Musical Properties. Since May 1, 1988, Roland Corporation has been parent company of Rodgers. On January 4, 2016, Roland Corporation agreed to the Global Organ Group’s acquisition of the American company Rodgers Instruments, effective January 15, 2016. In the world of organs, Rodgers enjoys the reputation of being a very strong and solid brand. It is a particularly established name in the United States. The company has grown to become one of the undisputed leaders in the American organ market. The organs are built in the time-honored tradition of classic American pipe organs with devotion to exquisite craftsmanship, precision tailoring and authentic sound. This authentic pipe organ experience is the product of tireless research, development and innovation, faithfully capturing the best of American pipe organs. The always available technology creates endless opportunities and flexibility in tonal design, before and after the installation. The end result however is more than the sum of its parts. Rodgers organs do much more than capture the rich sound of American pipe organs. They fill any church with inspiring music and move souls with boundless power. Rodgers Instruments will bring a heightened spiritual experience to every service. Thanks to its constant focus on quality and beauty, Rodgers has managed to maintain its status as a premium brand up to the present day. Thousands of American organists have been choosing Rodgers for nearly 60 years now. The Global Organ Group is the largest player in the digital organ world. Our most important motivation has been our love of the authentic pipe organ sound. The heart of our mission is to make that sound accessible to a broad public in a variety of ways. In translating this mission to everyday practice, we set high standards for quality. Time and again, we combine this passion with technological advances in the making of new instruments, while craftsmanship and innovation continue to provide the rhythm. We are known the world over for the smart and strategic application of our knowledge, our continued product development and our use of advanced technology. There is a rich variety in the translation of traditional organ sounds to digital organs. The palette extends from compact organs for private homes through completely custom-made digital church organs all the way to hybrid concepts that uniquely merge existing pipe organs with digital organs. At the core, all of these types and flavors can be traced back to four brands: Copeman Hart, dedicated to traditional English custom work in the digital organ world, Johannus, voicing the rich European musical tradition in both home and church organs, Makin, firmly in the English tradition with its church organs, and Rodgers, interpreting the typical American pipe organ sound. What can clearly be seen as a driving force among the Global Organ Group is that the four brands are all building on a personal identity. Not only in their sound, but also in their appearance and their technological character, each in their own way offers the player a completely unique playing experience. They also share some characteristics. One of these is sound quality, something upon which they never compromise. Another is the connection to a tradition that extends back for years, sometimes even centuries. A third is the technological innovation through which they continually strive to optimize player experience. The individual identity and color of sound of each brand is something that the Global Organ Group cherishes. Therefore, we always start from tradition and then innovate to create the organ of your dreams. Marco has twenty years of experience in the church organ industry as well as experience in global business development. 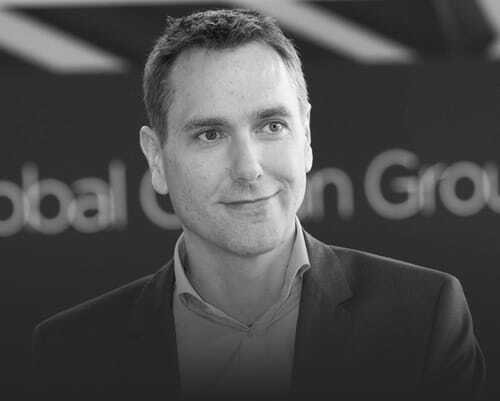 His career includes leadership positions at several companies, such as Johannus and Makin Organs, where Marco has shown a passion for sales strategy and building relationships with customers and partners. CTO of the Global Organ Group. Master of Science. Responsible for the technology roadmap of the Global Organ Group including research and product development. René has a long track record in the software and global church organ industry. Responsible for advising the company on long-term market strategies. 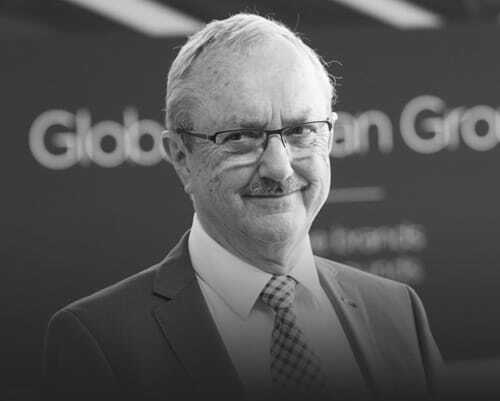 Prior to his retirement, Gert van de Weerd served in various leadership roles over the course of his career, some examples are Domus, Johannus, Makin and Copeman Hart.